Growing up with a little sister surely made our lives more colourful and more meaningful. 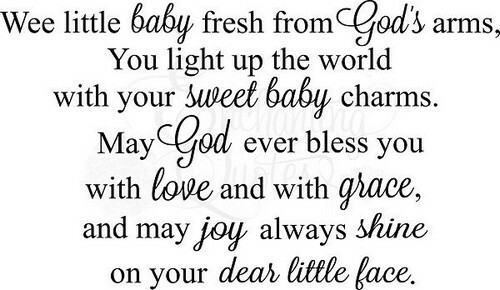 With that said, a special person like your little sis deserves the very best not only on her birthday, but each and every day. I am blessed to have a friend who I grew up with ever since I can remember – that’s you my little sister. Sometimes, my worst enemy, but most of the time, my best friend – there’s no one else in my life who can ever take your place, my little sis. Younger sisters are not just women you grew up within the same walls and under the same roof with – they are also a precious soul mate who will cheer and give you strength along the way. Younger sisters are the small women in your life whom you want to bully and protect at the same time. Having a little sis pushes me to be a better person. I want to be someone who she can look up to for inspiration. You may have an endless list of girl friends but only the true ones will stay. Who needs tons when you have your best and truest friend, your smaller sister who is by your side since childhood? You can fool everyone but never your little sis. There is no one who knows you better, who knows all your deepest and darkest secret but your little sister. During your lowest times, the person who will go with you to the salon because you want a daring short hairdo and hold your hand while your long precious locks are being cut is no one else but your younger sister. She knows you inside and out. She knows your worst habits and foulest secrets. 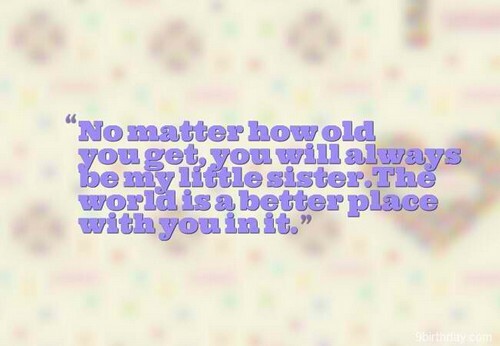 And yet, you know that your little sister will never leave you even if the world comes to an end. Every day is a party with a crazy and awesome little sis who lights up your life. A little sister is a shopping buddy, beauty consultant, soul mate and your most trusted confidante rolled in one. 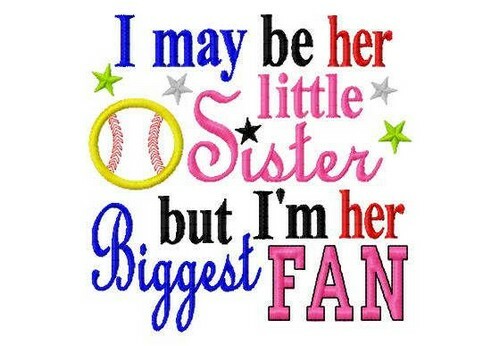 I don’t have someone I call my best friend because I call her my little sis. The good times I’ve spent with my smaller sister are one of the most colorful moments of my life. They may not all perfect and happy moments, but they are the ones which nurtured my heart. My smaller sis is my beloved scapegoat, someone I can put the blame on and still get away with it. You should cherish the relationship you have with your little sis. It’s a priceless treasure no money or all the riches in the world combined can ever come close to. We can choose our friends but never our family. I am so lucky to have an awesome sister I can rely to cover up for me during troubled times. I could never thank her enough, even with a room full of cookies. In this dangerous and cruel world, knowing that my little sister got my back makes me feel safe and brave. You are the person I stayed up all night talking about nothing but boys. You’ve seen me with the biggest eye bags imaginable and the worst dress on ever. You know how awful I look like after a hangover and you’ve tasted some of my worst dish. I could not ask for anyone else in the world than my younger sister to know all of me. I had the wonderful privilege of growing up with a great little sis. I have someone to command during the times that I’m desperate for a cookie and someone who I want to protect for the rest of my life. Little sisters make the terrible times fun and bearable. I will be there to catch you when you fall. Of course, after I stopped myself from laughing. Being a big brother to a little sis like you is tiresome. I do not know when I will stop from keeping guys away from our doorstep. I have learned so much from my little sister. I didn’t know I could learn so much and give great sagely advice from someone who is years younger than me. 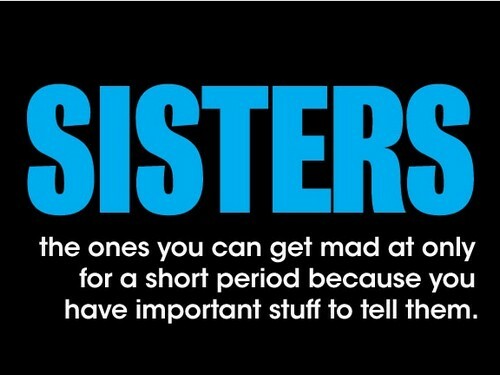 There are times that your sis stood as your older sister during the times you were lost and in grief. She is someone you can lean on and who will never ever let you go. A sister is someone who will bluntly tell you right and wrong and steer you away from your bad decisions even if it hurts at times. Because that’s what sisterhood is all about. You watch over one another. We’d argue like cats and dogs. We scream at each other like sirens during a fire. I guess that goes with being brothers and sisters. Underneath all those arguments, there is love. It’s impossible for me to succeed without my beautiful sister. People will come and go in your life but I know my wonderful sis is forever here to stay. Little sisters are there to wipe your tears and share your laughter. Sisterhood is about sharing your heart’s dreams and precious memories. Growing up with sisters is an everyday competition. Once you’ve grown and went your separate ways, it becomes your most reliable and sturdiest relationship. Younger sisters are God’s way of telling you that you are not alone. 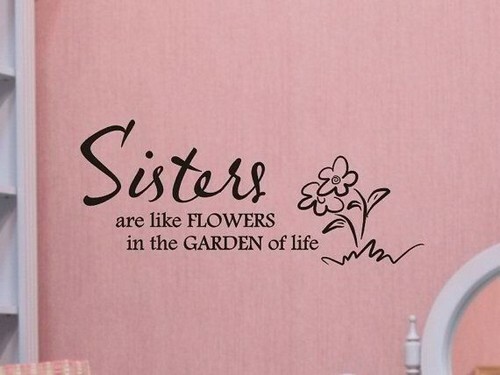 Sisters are your little guardian angels on Earth. She watches over you. She protects you from your foolish decisions. She steers you back to the right path. Sisterhood is about eternal promises and keeping secrets forever. She is your mirror; she reflects the best and worst in you. She is your protector; she will do anything so no harm will come to you. 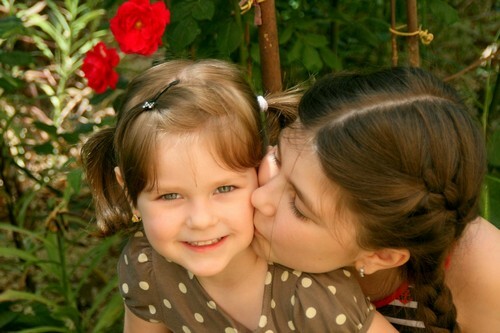 She is your teacher; she teaches you the amazing wonder of having a little sister. A younger sis is like a little parent. She is someone you can trust to keep your gravest and darkest secret and still loves you anyway. What is a little sister? She is your twin and yet, your total opposite. She is your unwavering companion and yet, your greatest competition. A little sister is your best friend and yet, your worst enemy. She is everything you wanted in life and yet, someone you wish you hadn’t had. My little sister is like the other half of me. She knows me too well, from the clothes I like to the food I go crazy for. There’s nothing more comforting in this world than in the loving arms of my little sister. 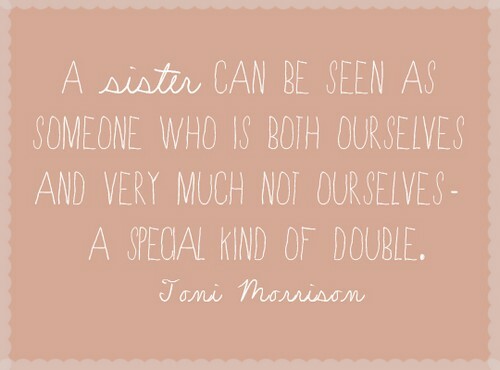 Little sisters are our special double and our polar opposites at the same time. As an older brother to a little sister, my greatest fear is some unworthy guy I haven’t approved of taking you away from me. Little sisters are God’s greatest masterpiece. You may be as different as water and oil, but there is no denying that the same blood flows through your veins. 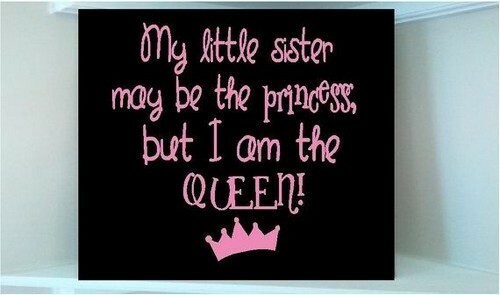 You may be my younger sister but you are way wiser and way stronger than I am. Take out my wonderful sis and my life will fall apart. The reason why I treasure and cherish my things is because the person I will pass it to is close and priceless in my life – my beautiful sis. If I am standing shoulder to shoulder with my sister, I can take anything that comes my way. My steadfast support, my cheer leader and my fashion critique. I could not imagine a life without my best friend, also known as my wonderful sis. Star must have fallen from the sky and took shelter in your small eyes. My cutest sister means the world to me. We might be the worst enemies one moment, then we’ll go back to being best friends the next. When mom and dad is against you, you have a little sister who will stick through with you. When you have a little sister, all you need to do is sit down with her and recall the beautiful and silly things you did together in the past. A little is a time machine to the wonderful memories of your precious childhood. The best thing about having a little sister is that you will always have a one true friend. The best news is best shared with my little sister. My little sister is the reason I’m more than just a big sister but a half parent as well. A little sister is a friend forever. If your favourite sweater is missing, you either yell out for your mom or your sister who is probably wearing it now. I learned the virtue of sharing and giving through my little sis. Whatever I have now, I always have the thought of my super sister along. We belonged to the same tree as the same friendship flow through our veins. I guess that’s what sisterhood is all about. Sisterhood and brotherhood is a gift God has so generously given me. I don’t mind the fact that I cannot choose my family because I got the best in the world. A smaller sis will forever and always be a little girl in my eyes. No man can come to her. No one will ever be good enough for her. I guess that’s the burden and joy of being an older brother. A part of my truest self sits safely within the corners of my sister’s heart. Siblings are people we grow up with and teach each other the most important of life’s lesson. It is unimaginable how life will be without a younger sister. Everything else becomes bearable when you have someone to share it with. A little sister is someone I shared most of the best memories with. We’ve held each other hands through joy, sorrow, pain, victories and defeat. You would not understand the feeling of loving someone so deeply and hate her from the bottom of your guts at the same time if you don’t have a crazy little sister.